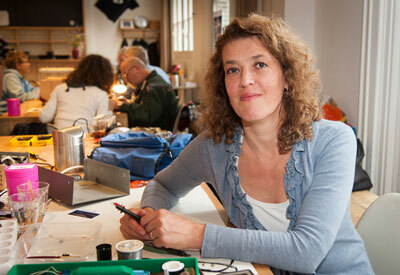 Martine Postma organized the first Repair Café in Amsterdam, 2009. Now, there are more than 1,000 registered Repair Cafés worldwide, and the number continues to grow. This colossal, global effort helped prevent an estimated 250,000 kilos of waste from landfill in 2016 alone. The international network of Repair Cafés is constantly evolving and coming up with new and inventive ways of fixing, such as in the use of 3D printers to create affordable spare parts for broken items. Martine is a true polymath: she has a degree in Russian literature and years of experience in print and broadcast journalism, which has given her a keen sense of the interconnected web of social, political and environmental issues surrounding repair. We’ll hear about the origins of the community repair movement with one of its pioneers, and we will learn about next steps including a big effort to join up the collection of data on repairs.